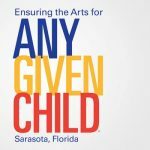 Congratulations to Sarasota’s Arts and Cultural leaders of the past and present. Listed below are all of the Arts Leadership Award recipients since the first awards program in 1987. A review panel selects the awardees from among the nominees. Nominators and award winners are notified prior to the Celebration of the Arts. Nominations Close: September 28, 2018, 5 p.m.